Cane as a descriptive term probably came from "skein" meaning the yarn or material used to weave. 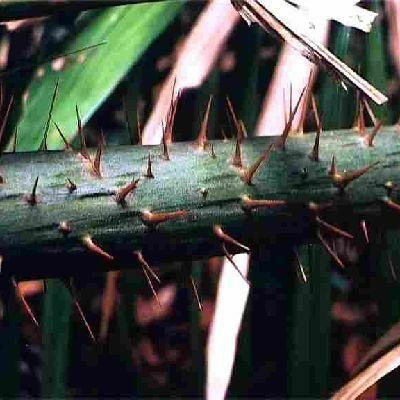 The material that is used for seat weaving is not a cane at all, it is the shiny outer skin "skeined" from the rattan plant, a large jungle vine with barbarous spines that help it to climb through the tropical forests. 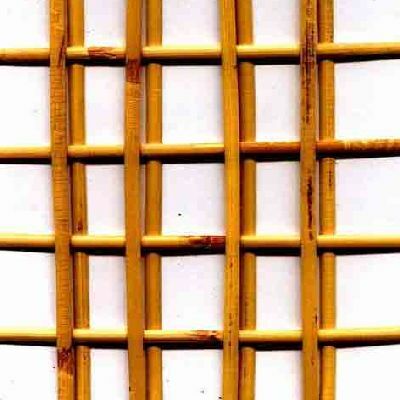 Weaving cane as a method of chair seating was first introduced into England during the second half of the 17th century. In the early days, the holes in the chair framework were widely spaced giving a coarse broad weave. Cane seats were popular as they were seen as clean and hygenic - parasites, mites and other bugs had nowhere to live in the weave - the opposite of most early upholstered seats! As time passed, the patterns became finer and more closely woven eventually giving us the delicate six way weave that we are familiar with today. 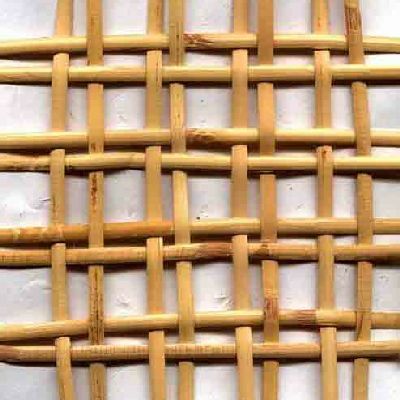 The popularity of cane has remained virtually constant in Europe where even today a good percentage of modern furniture has some canework either for its decorative qualities or for its practicality. In England however, its popularity has largely been dictated by fashion. During the Regency period many "faux" bamboo chairs were made, some with finely crafted cane seats. The Brighton Pavilion was a trend setter, and as its style was based on Far Eastern influences, as a result rattan and bamboo became popular. English furniture manufacturers wanted to promote this style and so cane seating became more widely recognised. Since then a revival of Regency style at the turn of the 20th century saw an increase in the number of pieces of furniture using cane, Bergere salon suites became popular with their cane back and side panels and almost everyone had a dainty little cane seated bedroom chair. Many of these Edwardian pieces are highly prized now and the caneworker's art is making a comeback. 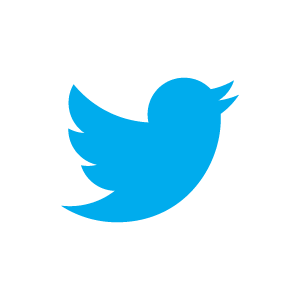 We have price guides for our repair services. For standard six-way weave replacement click here, or for close woven patterns click here and for Bauhaus Cesca, John Lewis Rubberwood dining chairs and all other furniture using pre-woven panels, click here. If you have patience and like to be creative, traditional canework can be a fascinating and productive hobby. 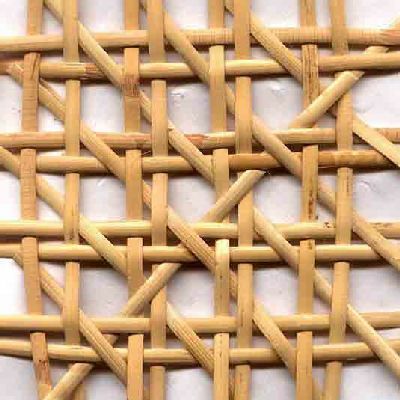 Basically there are six stages to the weave, the first stage is a series of vertical strands passing through opposite holes from the front to the back rails of the seat. You follow this with a set of horizontal strands passing from side to side through opposite holes, then put in a repeat set of vertical strands laid slightly to one side of the first vertical set from front to back rails. It is not until now, stage four, that you begin weaving. 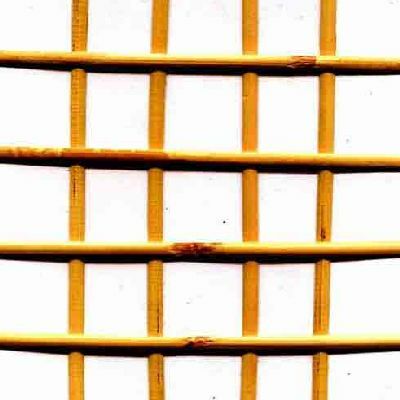 A second set of horizontal strands are passed through the side rail holes just as before except that this time they are woven in such a way as to strongly bind the other three strands together. These first four stages are known as the "settings". Now you begin the "crossings". Stage five is a diagonal set of strands woven through the squares created by your settings. It generally doesn't matter whether the first diagonal worked runs from left to right or right to left as whichever you do first, stage six will be the opposite set, and in a nutshell that's it! There are other methods of achieving the same star pattern, the Europeans for example use a "steamer" which entails weaving both horizontal strands of cane simultaneously. Once mastered this can be a very fast way of caning. We have a fully illustrated booklet available, or borrowing a good book from the library will show the weaving methods clearly. 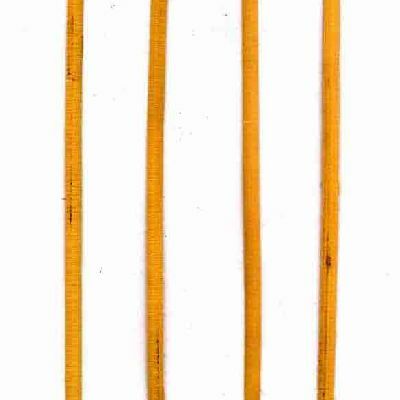 We would recommend anyone caning for the first time to carefully study these diagrams before even beginning, and to choose a small, square and flat seat to start with. A curved, shaped seat or bowed back will only end up frustrating the beginner. 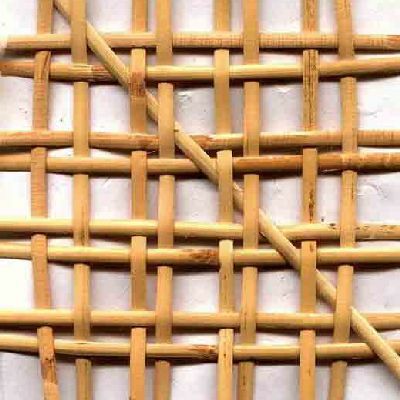 Have a look at our DVDs if you would like to know more about learning canework, or pop across to Seat Weaving Supplies for DIY materials. 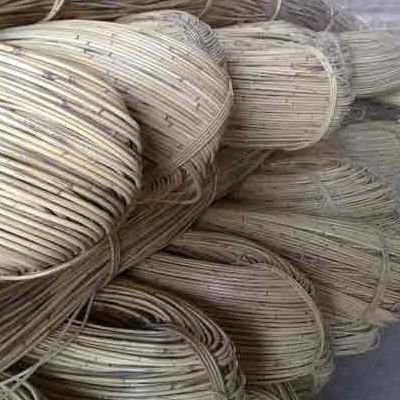 If you are interested in how the rattan vine is turned into cane for weaving, take a look at our video on Youtube here.